Support the work of PDFoundation by purchasing KEPCon Donation Passes. 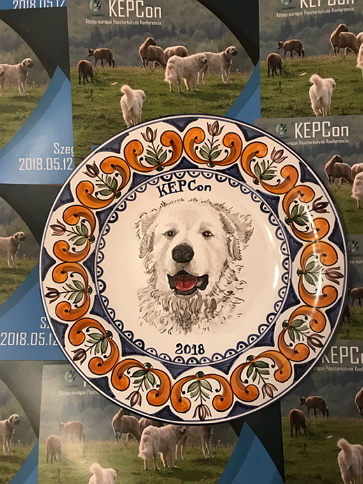 With KEPCon Donation Pass you can enter KEPCon Central European Sheepdog Conference. We are glad to host a video conference with Ilker Unlu next Friday, Oct27, CET 7pm. If all the dormant gifts of Man were awaken, there wouldn't be any Environmental Issue. We were glad to host a video conference with Ilker Ünlü on Friday, Oct27, CET. As a keynote speaker of the Central European Shepherd-dog Conference of May 12-13, 2018 the expert speaks about the basics of their tremendous work on saving Akbash Dog, preservation breeding in general and the authentic potentials of the specific breed. During the talk issues of inbreeding and possible relation to Kuvasz and cross-breeding opportunities between the two also have been mentioned. My eyes see the World cradled by Order. And I want all my brothers and sisters to have a vision alike. "The landscape is continuously changing in the wide mirror of the World, but who looks back is always You." Human thought, motions, communication skills, character development routine and so the approach to our daily lives is just a speciality we cannot share with others. A unique set of characteristics that makes us once and eternal. Through this uniqueness leads the path directly to our soul we should walk to reach out each other. Humane Humanity Kuvasz Program - Phototshooting at Paradsasvar Werk I.
Embedded video for Humane Humanity Kuvasz Program - Phototshooting at Paradsasvar Werk I. New era in Humane Humanity Kuvasz Program, that makes the other Hungarian national breeds join in! Check out the making-of video on our latest photoshooting at Parádsasvár. Dogs: Ajsa, Zita, Bogár, Hodor. Our highest respect goes to Mr Danilo Jenkins, Panama! Organic farming and clean eating was in the focus on PDFoundation's latest event in the series of Eco-days For Schools. Gábor Dénes Vocational School and Vasvári Pál Vocational School, Szeged, Hungary hosted the sports programs and presentations for 9-10 grades.